A recent survey conducted by KPMG, in association with Naredco and APREA, revealed that India’s real estate market is poised to hit USD 1 trillion by 2030, making it the third largest worldwide. These numbers prove that real estate in India is currently undergoing a turning point. Multiple policy changes by the government with stringent approaches towards cleaning up the market have resulted in an industry that is and will continue to benefit home buyers, developers and India’s economy as a whole. To ensure this dream becomes a reality sooner rather than later, real estate developers and policymakers will have to work together to script India’s success story in both the residential and commercial segments. Let’s take a closer look at some of the factors that will help shape the future of Indian real estate. Traditionally laced with layers of trust deficits, Indian real estate was in dire need of a glass door – something that would provide the industry with trust and transparency. The passing of the Real Estate Regulatory Authority Act (RERA) last year did just that. Apart from RERA, other implemented policies like GST and the Benami Property Act enforced much-needed transparency and accountability in our real estate ecosystem. Business models have altered owing to these new policies. Going forward, the future of Indian real estate will see developers focussing on customer satisfaction – achieved by timely completion of projects, flexible pricing and multiple payment options. As a result, the future of Indian real estate spells nothing but good news for first-time homebuyers and investors. In a welcome move for Indian realty, the government opened up the real estate sector for 100% FDI. This move means foreign funding channels won’t have to attain government approval to invest in the Indian real estate market. Since then Indian realty has witnessed a massive influx of investment from both domestic and foreign institutional investors. In addition to capital inflow, the launch of REITs (Real Estate Investment Trusts), too, adds another layer of transparency to real estate transactions. This will further act as a catalyst to attract more investments in the future, particularly for NRIs looking to invest in Indian real estate. The government opening up Indian realty for FDI has breathed a fresh lease of life into the future of Indian real estate and created a surge in job opportunities for thousands of people. Another side to the future of Indian real estate is the growth of India’s Tier II and Tier III cities. More opportunities and increased salaries have resulted in rapid urbanisation in the cities. All these factors have led to vast improvements in infrastructure and a significant push towards affordable housing in Tier II and Tier III cities. With a rise in and sustained growth in residential properties, this creates a robust demand for commercial prospects, furthering the growth of India’s smaller towns and cities. Apart from the residential and commercial segments witnessing massive growth, the future of Indian real estate will also be shaped by hybrid spaces. These hybrid space or co-working spaces will be a result of India’s rapidly evolving work culture, influenced in particular by booming start-ups. While our metro cities are not new to the changing landscape of the real estate sector, there is no doubt it will steadily spread to India’s smaller towns. Not only will India’s real estate market benefit from this growth, but it will also create an upward tangent in productivity, cost efficiency and employee retention. RERA was passed to improve transparency and make the real estate industry a lot more investor-friendly. Project completion, disclosure of project-related information, change in plans, etc. will take precedence. These are aspects of home buying that developers were once lax about. 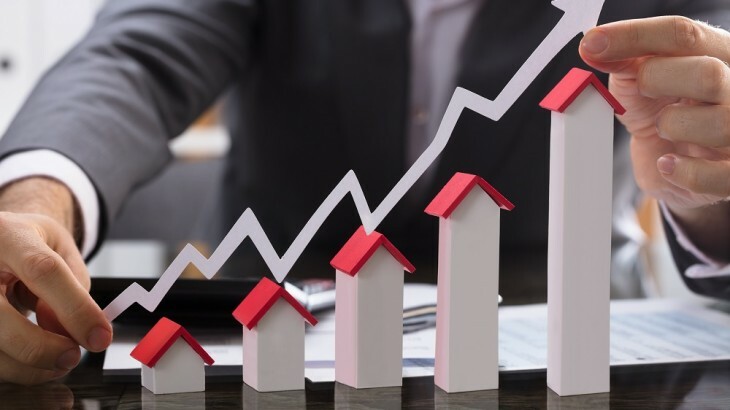 Thanks to RERA and other policies implemented by the government, the confidence of investors and homebuyers has improved drastically which bodes well for the future of Indian real estate. Several market analysts opine that the future of Indian real estate will see the rise of new sectors like senior living, student housing and other niche segments including townships, plotted developments, etc. All this is a result of policy changes that encourage players to explore newer avenues, which in turn give investors and consumers the chance to enjoy several more choices when looking for properties to purchase. Real estate has always been the first option to build one’s wealth and cash flow. While 2018 was an excellent year for real estate investment, the future of Indian real estate is poised to bring in even more gains. If you have been considering investing in real estate, then there’s no time like the present. 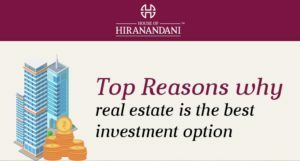 Visit House of Hiranandani today and find your dream home. You can also read our recent newsletter on long-standing realty for more insights into the future of Indian real estate.